Dinosaur paleobiologists now use a variety of modern tools in their research that help reveal the inner, neurovascular anatomy of dinosaurs in ways we have never seen before. Combining high resolution computed tomography (HRCT) scanning and 3D printing, we now have an opportunity to bring to life for the first time the inner workings of the interior of the smallest and youngest Triceratops yet known from the UCMP collections. This 3D printed “see-through” skull, which we intend to put on display with the current Triceratops growth series in the Marian Koshland Bioscience and Natural Resources Library of the Valley Life Sciences Building, will be the first “see-through” dinosaur skull anywhere! 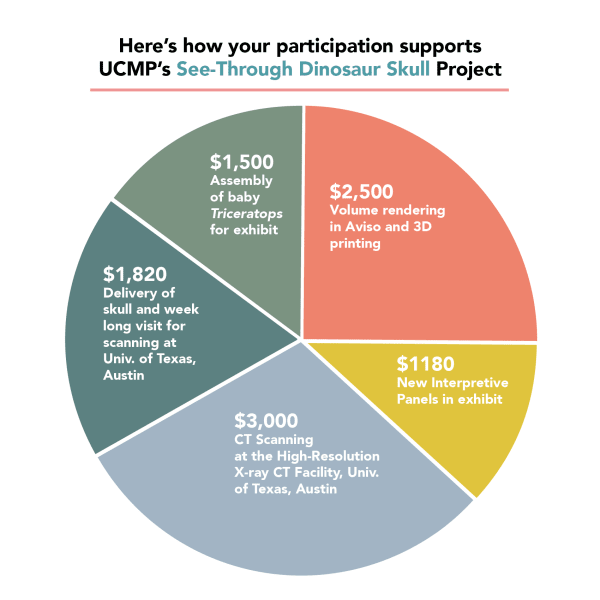 With community support we will create a “see-through” 3D printed cast of UCMP’s baby Triceratops skull to go alongside UCMP’s Triceratops family on display in the Valley Life Sciences Building. 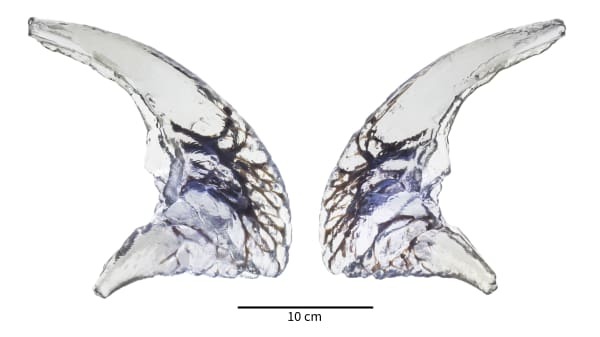 The UCMP successfully employed this technology to print the very first see-through Triceratops rostral or “beak” from CT scans of a subadult skull showing a robust network of blood vessels that in life nourished the bone. This may be evidence of a neurovascular network that allowed Triceratops to sense subtle changes in its environment related to feeding and other behaviors. What the baby Triceratops skull will reveal is unknown but the fossils will be CT scanned, then volume rendered using medical imaging software, followed by 3D printing. The 3D plastic casts of the individual skull bones will be assembled into our reconstructed “see-through” skull! 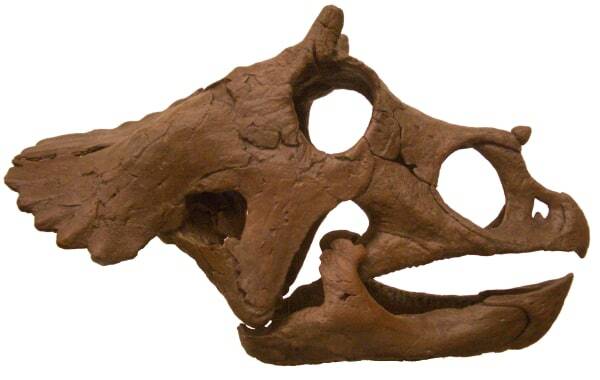 If we are fortunate to surpass our fundraising goal, additional Triceratops and other dinosaurs in the UCMP collections, such as the “dome-headed” Pachycephalosaurus, will be CT scanned, imaged and 3D printed as part of ongoing studies by Dr. Goodwin and his team to understand how dinosaur skulls grow. These high-resolution CT scans provide an extraordinary look at how the skull bones fit together and variable bone texture as they grow. 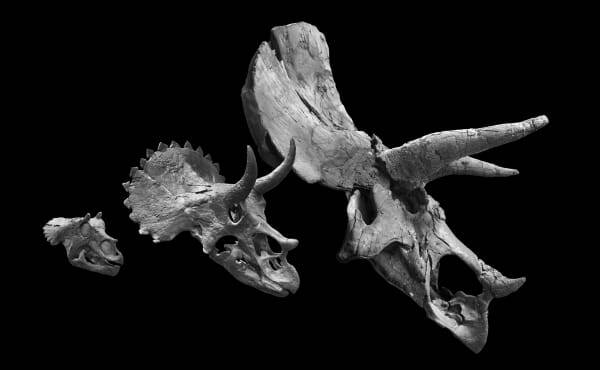 Your support of this research will directly contribute to an improved understanding of the paleobiology and function of these bizarre horns, bumps and bony domes expressed by these dinosaurs throughout their life history. The mission of the UCMP is to investigate and promote the understanding of the history of life and the diversity of the Earth's biota through research and education. We are one of the largest university-based paleontological research collections in the world and we house specimens collected before the founding of UC Berkeley. Our diverse natural history collection includes dinosaur and other vertebrates but invertebrates, fossils in amber, and plants from every continent. These fossils are the foundation of the UCMP and provide a gateway portal to collection-based research, outreach, and education. 2 Tickets to join a UCMP "Behind the Scenes" group tour of fossil collections at UC Berkeley's campus-wide Cal Day on April 22, 2017. Will also receive a UCMP Newsletter shout-out and digital Triceratops poster. Exclusive tour of bones in the bell tower in UC Berkeley's landmark Sather Tower, view the original baby Triceratops skull, receive a UCMP Newsletter thank you shout-out and digital Triceratops poster (max 6 in tour, 1 adult/child, not available on weekends).